Albergo Rosa is a bike-friendly hotel located at the coastal town of Cavallino. They encourage and sustain cycle tourism for sport and environmental enthusiasts. Cycling is becoming ever more popular, and a favorite with everyone, not only as a sport but for naturalists too. A bike tour enables you really take in the local scenery, breathe in fresh clean air and all in the company of your friends or family. Our Hotel guarantees and offers high standards of services dedicated to cyclists and their requirements. These include safe deposit for equipment and high energy breakfasts. We can even arrange expert specialized guides familiar with the area, who can help enhance your experience. Albergo Rosa is proud to be a member of the ‘Associazione Adria Bike Hotels’ an Association of Bike Hotels whose aim is to recommend cyclists the best rides which incorporate some of the most exciting areas around the Adriatic coast. Our Hotel can in fact offer tours and cycle excursions for all levels of cyclists, from the simple tourist biker to the professional. Departing from Cavallino take in the surrounding areas of uncontaminated countryside down to the wonderful beaches of Venice and Jesolo. 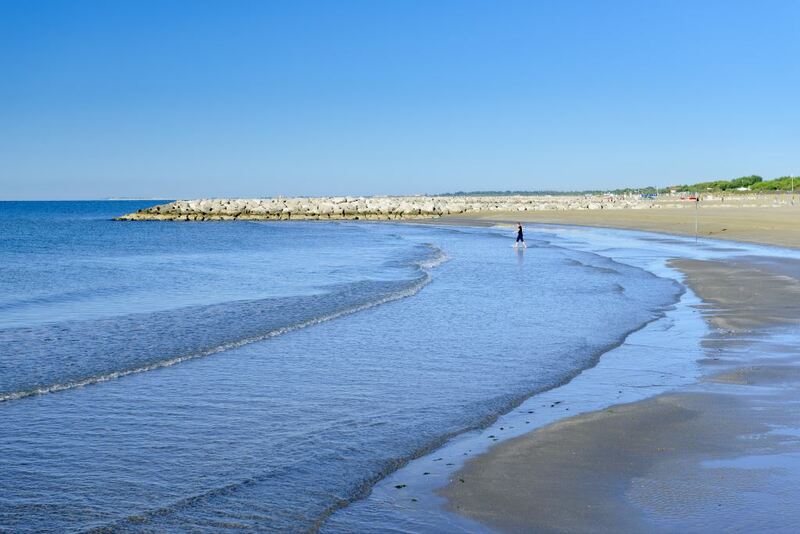 Our tours take in the shoreline of Jesolo and Venetian coast as far as Punta Sabbioni, not forgetting the picturesque hills where the famous Prosecco is produced! We hope we can offer you many ideas and tips – those you won’t find on any maps. Albergo Rosa represents excellence for cycle tourism at Cavallino, Jesolo and the surrounding area.